’15/’05 Burgundy. What’s the hype? In my last Feiring Line newsletter, I wrote a very difficult story. Difficult because you want to do the Hacquet family justice with the arc and the writing. Here's a taste of it. ..
To read the rest....think of subscribing. More coming in 2017! Winery of the Year…Savage Grace Wines (Woodinville, Washington) by Blue Collar Wine Guy at The Seattle P.I. At the end of each year I recognize a winery that I feel stands apart from the rest. It doesn’t have to be a small winery, but it has to produce outstanding wines on a consistent basis. Wines with character and personality, wines that reflect both the artistic side of the wine maker and be commercially viable. Any wine maker can make what they like, but can they also make wines that others will enjoy without compromising their vision of what they want their wines to be. This is a fine line to walk, and I have found that Michael Savage has accomplished this at Savage Grace Wines.>>>READ MORE at The Seattle P.I. 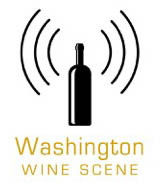 The post Winery of the Year…Savage Grace Wines (Woodinville, Washington) by Blue Collar Wine Guy at The Seattle P.I. appeared first on Woodinville Wine Country. Jean Claude Beck, a native of the Alsace region of France, is thrilled to be crafting a broad variety of wines for The Woodhouse Wine Estates in Woodinville. IN THE OLD WORLD, a winemaker is pretty much required to use certain grapes in different places. For example, Bordeaux winemakers don’t use syrah, and Rhône Valley winemakers don’t work with cabernet sauvignon. In many cases, that’s the law. And that can frustrate some winemakers who would like to make wines from a wider variety of grapes and in different styles. That’s why many Old World winemakers move to the West Coast, where virtually every classic wine grape is grown. The post French winemaker combines Old World know-how with Washington’s abundant grapes – The Seattle Times appeared first on Woodinville Wine Country. Let’s face it, it can be hard getting excited for the holiday season when we start seeing signs of it in August. We all want to make this time of year special, but we can drive ourselves crazy and exhausted trying to do so. If only we could find a way to relax and enjoy the simple things that make the holidays fun and meaningful. Sure, it’s supposed to be a time of giving, but maybe that’s where all the pressure comes from. This year, instead of putting so much effort into the usual obligations and the ephemeral desires of others, why not spend a bit more time on the simple things that brighten your season? If your holidays are unlikely to bestow any of these thoughtful gifts, there’s one thing you can absolutely count on to bring you heaps of comfort and joy: Saint Nick’s Holiday Wine Weekend. You’ve heard of “The Twelve Days of Christmas?” Well this is “The Three Days of Tasting.” It all begins Friday, December 4th with over 30 Washington wineries sharing their finest vintages and hors d’oeuvres at one of the Northwest’s premier holiday destinations: Molbak’s garden+home—so lit up with lights and ornaments that you can see it from space. If this doesn’t get you in the holiday spirit, there’ll be three ghosts visiting you when the clock strikes one. On Saturday and Sunday, the holiday festivities continue with Saint Nick’s Holiday Open House, a delicious weekend of merrymaking where you can visit participating wineries throughout all of Woodinville Wine Country. You’ll meet the winemakers, taste their finest selections of the season, learn about upcoming releases, and soak up the spirit and flavors of this special time of year. You could wish for a lot of things this season, but why wish? Give yourself the gift of Saint Nick’s Holiday Wine Weekend, and make it truly a holiday to remember. The post The Woodinville Insider: Yes, Woodinville, there is a Santa Claus appeared first on Woodinville Wine Country.